#funnypictures Has it ever happened to you? ☀Easter is the celebration of the resurrection of Christ three days after his death. It is the oldest Christian holiday and the most important day of the church 💒year. ☀Christians consider Easter eggs to symbolize joy and celebration, new life and resurrection. ☀The exchange of eggs for Easter dates back to a springtime custom older than Easter itself in which eggs were given as a symbol of rebirth in many cultures. Alone, but not lonely (at least in the beginning)) Have you seen this movie? Lonely is an adjective. It describes a feeling of sadness stemming from isolation or abandonment. 🎃 Andrea is feeling lonely because she does not have a romantic partner to bring to her friends’ Halloween party. Alone is also an adjective. It describes a single person or object, separate from others. One who is alone is by oneself. 🍿She went to the movies alone, because her friends talked too much . Недавно Макс Розер, исследователь из Оксфордского университета, поделился фрагментом объявлений о знакомствах. И вот одно, опубликованное в газете в 1865 году. В рекламе под названием «Шанс на девушку» молодой человек рассказывает о своих лучших качествах. 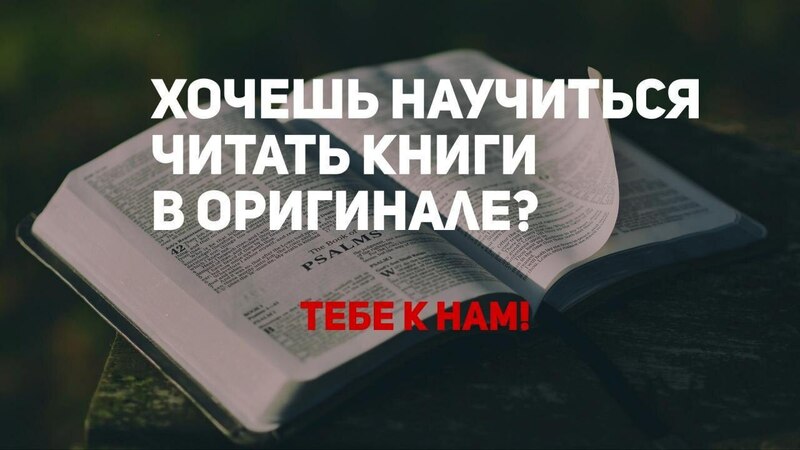 По сути, он себя рекламирует, подчеркивая свои достоинства. «Мне восемнадцать лет, у меня хорошие зубы, я верю в Звездное знамя и 4 июля. Я взял у государства участок, очистил восемнадцать акров в прошлом году и засеял десять из них. Моя гречка выглядит первоклассно, а овес с картошкой растут буйно. У меня есть девять овец, двухлетний бык и две телки, кроме дома и сарая. Я хочу жениться. Я хочу купить хлеб с маслом, обручную юбку для женщины. Но я не знаю, как это сделать». Мы никогда не узнаем, нашел ли этот молодой человек любовь всей своей жизни, но мы должны приветствовать его усилия ... и, по крайней мере, его гречку. ​​​​​​🤓A compound noun is a noun that is made with two or more words. A compound noun is usually noun + noun or adjective + noun, but there are other combinations. If you want to agree with your friend, you can use these phrases. 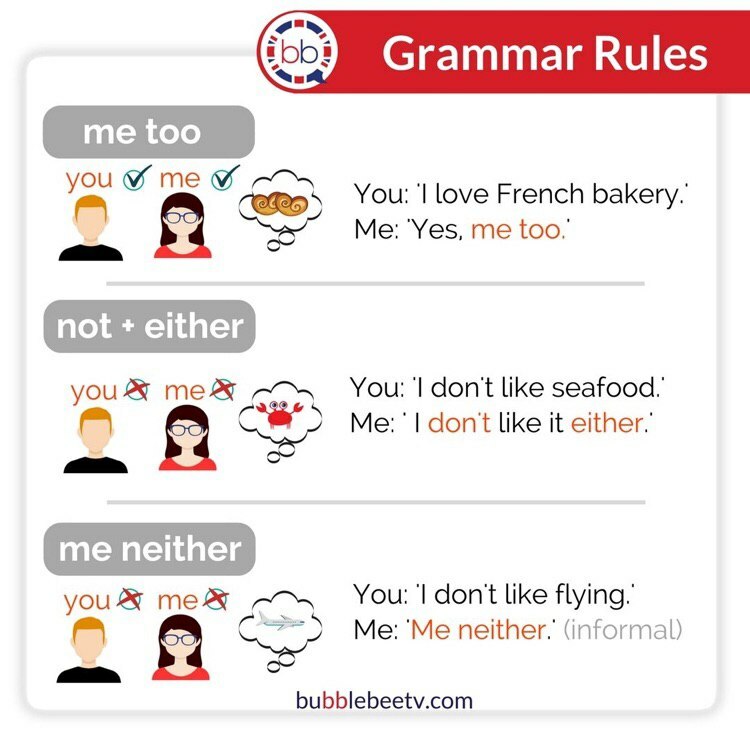 ✔️’Me too' agrees with a positive statement. You (who likes pizza): Me too! ✖️’Me neither' agrees with a negative statement. You (who hates pizza): Me neither. I‘m Svetlana and this is Julia. I‘m 34 years old and my father is 60. I‘m an engineer and my husband is a doctor. Alex is from Russia, and Sonia is from Italy. I‘m tired. She is very hungry. Our cat is black. His eyes are brown. It‘s seven dollars. This T-dress is twenty dollars. It‘s cloudy today. It is very warm this morning. What time is it? It’s half past four. 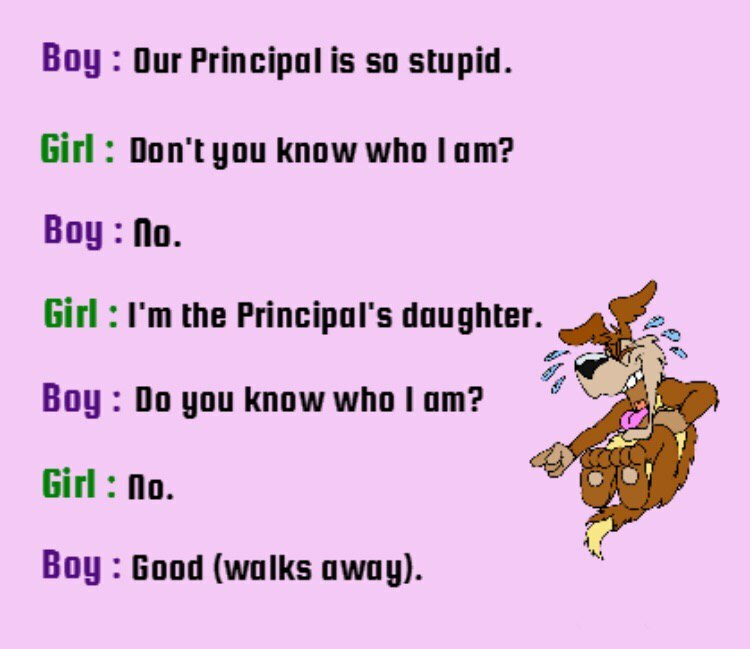 He is very tall and thin. The cars are new and expensive. 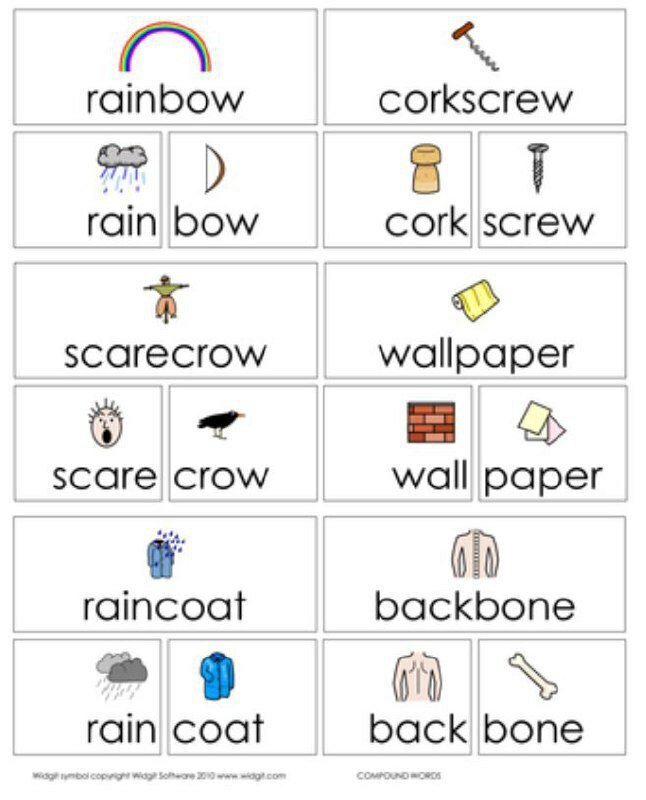 There are interactive exercises to help you practise and improve your level of English. The BBC provides listeners with a fascinating way to learn and practice English every week. Each episode is oriented to everyday vocabulary and features a dialogue between two people. Are you short on time? With 6-Minute English, you have no excuses. 🎧 A podcast is a series of episodes of an audio show that can be downloaded and listened on a person’s mobile device, both offline and online. The term ‘podcast’ was first used in 2005, and is a portmanteau word of ‘iPod’ and ‘broadcast’. ✔️increase your understanding of native English speakers. Whether you drive a car🚗, take the bus🚌, or walk🚶🏻‍♀️, the most convenient time for you to practice your listening skills is usually in transit. ​​🇬🇧 Английского много не бывает! Welcome Spring! What symbolizes Spring?